As you may have figured out from our guide to tech etiquette, pulling out your smartphone every time it bleeps or bloops from your pocket is downright annoying. But for the wheelers and dealers of this world, ignoring it isn’t always that simple. How are you to know whether Zynitrex Corporation is finally ready to close on that $30 million deal, or whether your chortling colleagues just tacked another hilarious Reply All wisecrack onto that e-mail thread about last weekend? If you happen to be a BlackBerry user, it could be as simple as a glance at your watch. 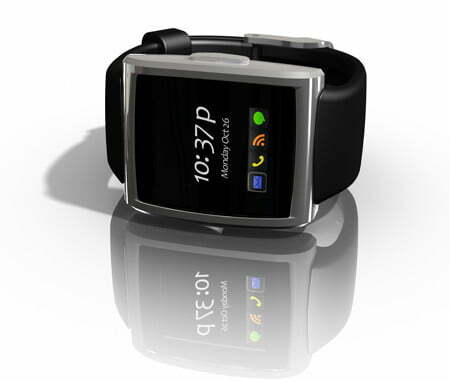 On Monday, Allerta announced the new InPulse, a synchronized wristwatch that gathers incoming alerts off your phone and displays them on its 1.3-inch OLED touchscreen, vibrating for a subtle alert. Dispatch Ron from accounting with the click of its single button, or step outside to seal the deal with Zynitrex. 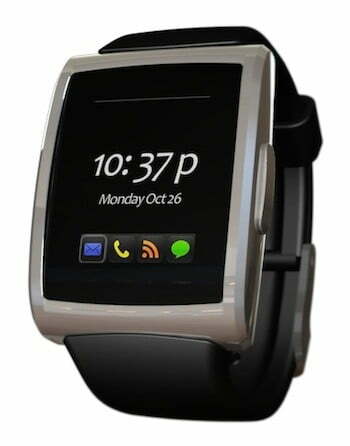 Besides taking alerts off the BlackBerry, the phone can also be used to program its conventional watch features, letting you painlessly set weekly reminders and other sophisticated functions with a full keyboard and display, rather than tiny digital watch buttons. The InPulse works using the Bluetooth 2.0 wireless standard, which ensures compatibility with all modern BlackBerry models and may even open the door for potential porting to other platforms in the future. It charges with a microUSB port, and should deliver up to four days of life before a recharge. Anxious BlackBerry users in North America can preorder the InPulse for $149 immediately, but the company estimates it will ship in February 2010.